Google has this week unveiled a new gigapixel digital camera it has created, which has been specifically designed to take high-resolution photographs of artwork around the world. Google has been working closely with museums in different countries and has used its Google Art Camera system to capture the finest details of artworks from their collection. Check out the video below to learn more about the aptly named Art Camera, but has been created for the Google Cultural Institute. Photographed artwork is now available from the Google archive which has a library of more than 1000 works of art in its catalogue and allows you to zoom in to see each individual stroke of paint or line. 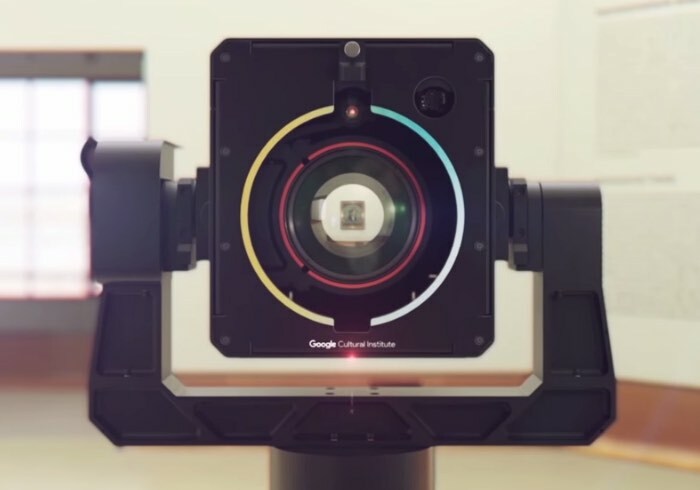 Meet the new Art Camera by the Google Cultural Institute — a custom-built camera ready to travel around the world to bring people more of ultra-high-resolution ‘gigapixel’ images than ever possible before. The Museum Boijmans Van Beuningen was among the first to use the Art Camera to digitize a series of artworks, including the Portrait of Armand Roulin by Van Gogh. A gigapixel image is made of over one billion pixels, and can bring out details invisible to the naked eye. So creating digital images in such high resolution is a complex technical challenge. You need time, highly specialized and expensive equipment, and only a few people in the world can do the job. In the first five years of the Google Cultural Institute, we’ve been able to share about 200 gigapixel images. But we want to do much more. That’s why we developed the Art Camera. For more information on the paintings already captured by the Google Art Camera jump over to the official Google website via the link below.